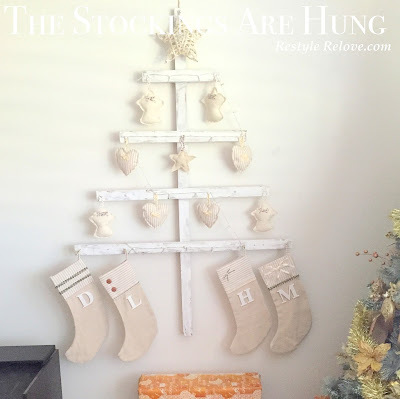 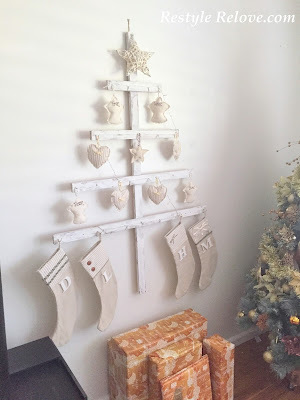 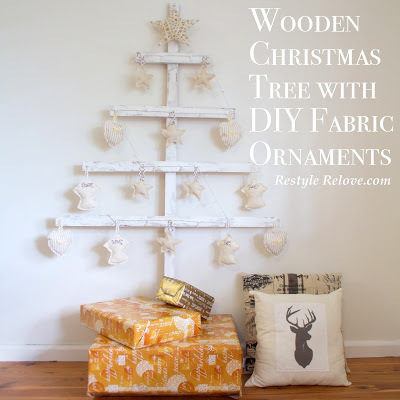 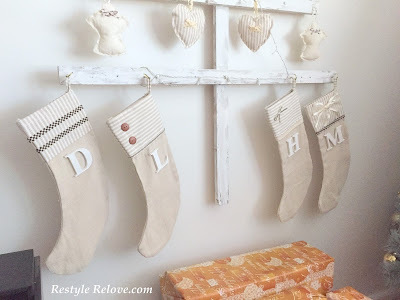 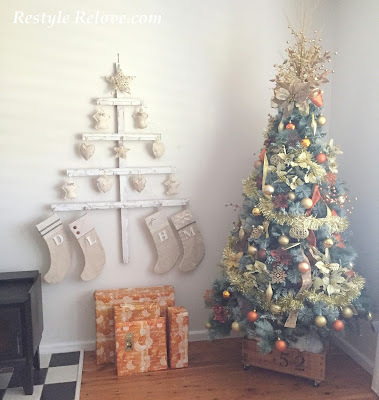 I recently shared my Wooden Christmas Tree with DIY Fabric Ornaments with you. 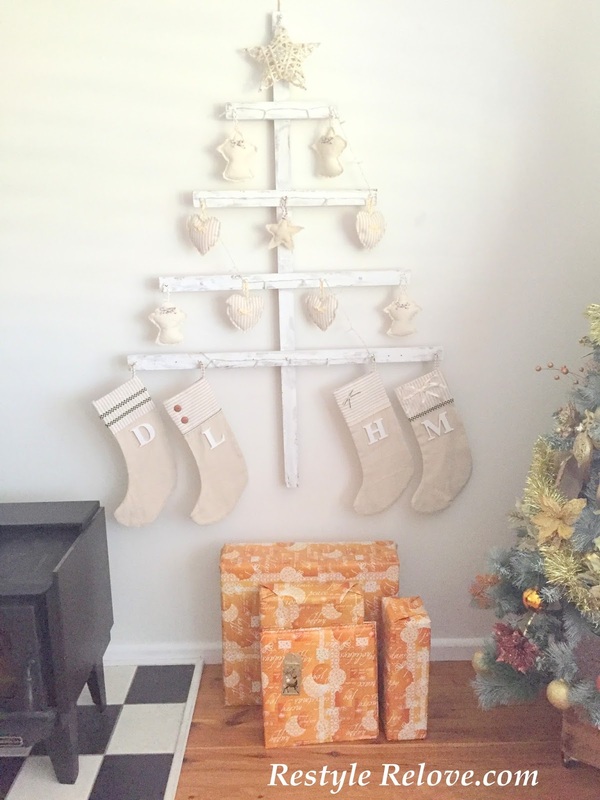 and after adding a few good hooks, they fit perfectly on the bottom branch of my tree. Right next to our Glittery Gold Christmas Tree.